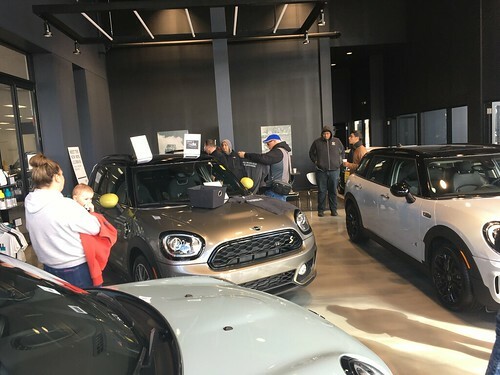 WRAPUP: About a dozen MINIs came out to enjoy Supercar Saturday.. a great mix of newer and older club members. We had an initial get-together and a short drive out to Glenview. A bit of rain in the middle kept some of the coolest cars away, but there was still plenty of neat stuff to look at. We decided to take a neighborhood drive, and the weather cleared out for smooth sailing, and a lunch stop at a great Hot Dog stop. Huge thanks to Francis for all the event and route planning!! There are only a couple tickets remaining for the Cubs vs. 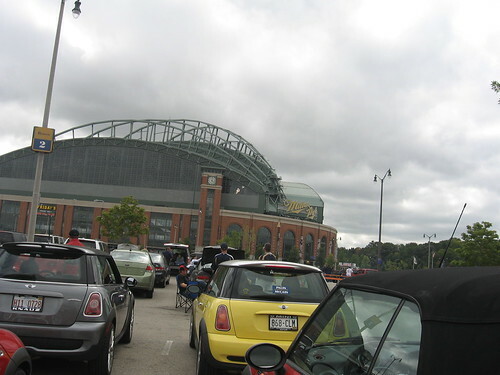 Brewers baseball game up in Milwaukee on September 11th. We will be doing a group drive from Chicagoland, meeting up with the Milwaukee club and tailgating in the parking lot before the game. If you are interested, check out this link for all the info and get the registration form in the mail as soon as possible!! If you already have tickets on your own and would still like to tailgate with us, e-mail steve@chicagominiclub.com for additional details.